The SmartThings Link is less expensive than a full-sized smart home hub, but its capabilities are not quite equal. 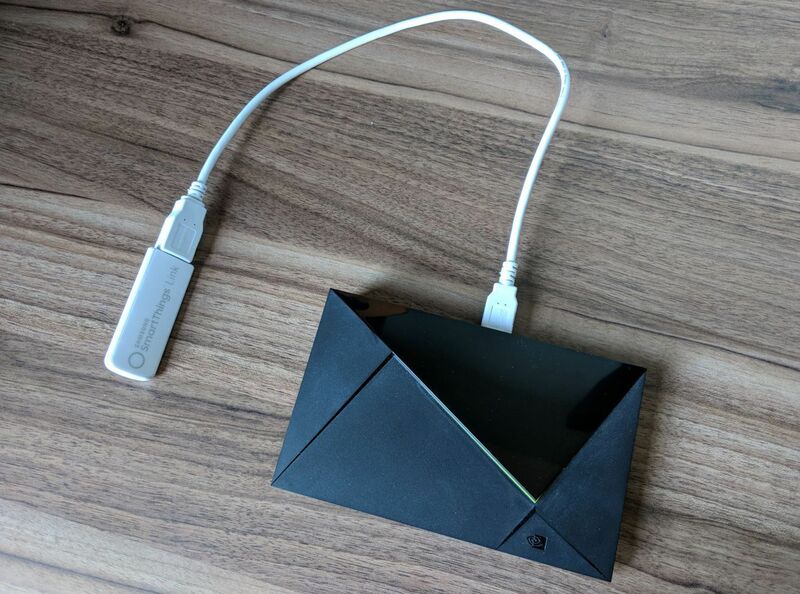 The Nvidia Shield TV streaming box just keeps getting cooler. In addition to doubling as a Plex server, an over-the-air DVR, and a hands-free Google Assistant, the Shield can also now serve as a smart home hub with the addition of a Samsung SmartThings Link. This $40 dongle plugs into one of the Shield’s two USB ports, where it can control smart light bulbs, switches, plugs, and any other appliances and devices that work with the full-sized SmartThings hub (here’s a list). In fact, it’s very nearly the same as that $100 product, but at a fraction of the cost (assuming you already own Nvidia’s $180 streaming box). Yet there is one crucial difference: A dedicated hub can reside anywhere in the house, but the SmartThings Link is inherently bound to wherever your TV lives. If that happens to be in the corner of your house, you might run into some range issues. The SmartThings Link also doesn’t include a couple of minor offline and battery-backup features that the full-sized Hub offers. 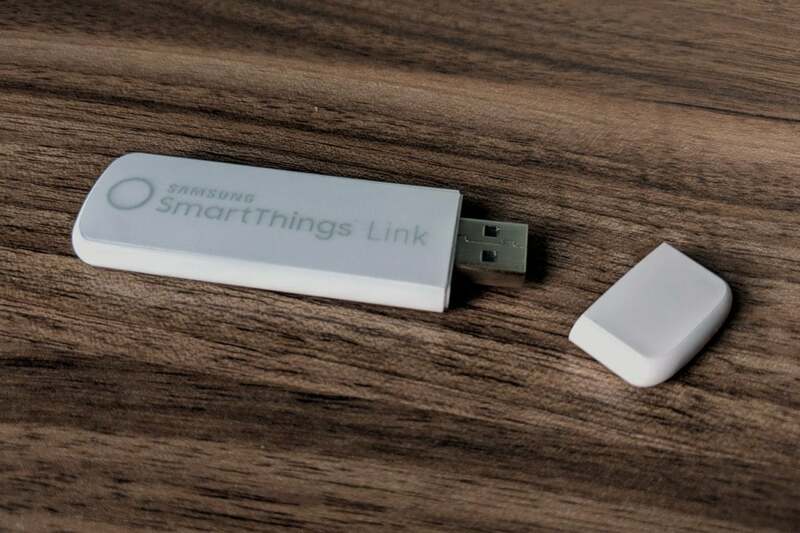 The SmartThings Link is roughly the size of a Bic lighter, with a full-sized USB plug on one end. It comes with a short USB extension cable, which you’ll need to keep the Link from blocking the Shield’s other open USB port. The extension cable isn’t elegant, but it’s necessary to keep the Shield’s other USB port unblocked. It will also bring the dongle out from the back of your entertainment center. Setting up the SmartThings Link involves installing an app on the Shield, running the SmartThings mobile app, and following the prompts to set up a new hub. 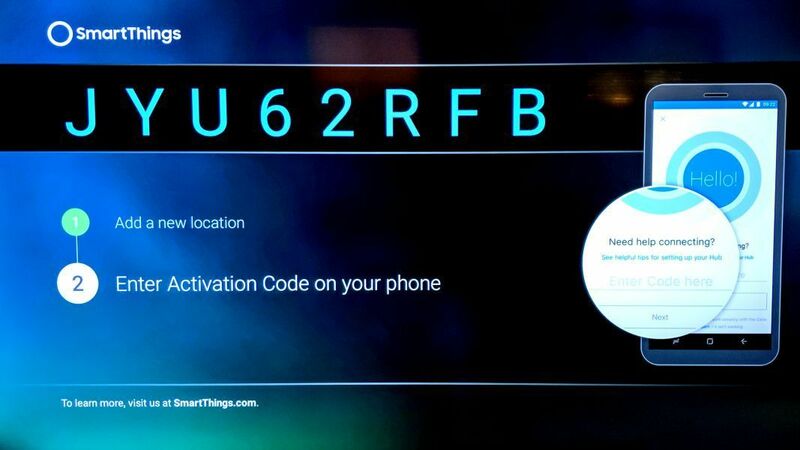 A one-time code appears on the TV screen, and entering it into the app pairs the Link to your SmartThings account. A one-time code connects the Link to your SmartThings account through the mobile app. For testing purposes, Nvidia sent a pair of Sengled LED light bulbs and a SmartThings motion sensor—all using ZigBee—along with the SmartThings Link review unit. I didn’t run into any problems controlling the lights by phone and voice, or setting up the motion sensor to trigger nearby lights. It’d be nice if the SmartThings app for Nvidia Shield offered some actual controls instead of just instructional videos. But because the Shield itself uses Google Assistant, you can use voice commands on the remote control—or hands-free “OK Google” commands with the Shield’s game controller—to toggle devices and launch routines. You can also link your SmartThings account to your Alexa account if you want to use it with an Amazon Echo. Although the SmartThings Link behaves similarly to a full-sized hub, it does have a couple of notable differences. For one thing, the SmartThings Link doesn’t have a battery backup, which would be necessary for critical alerts in case of a power outage. You could plug the Shield into an uninterruptible power supply, but that would likely wipe out the cost savings of buying the Link over a the full-sized SmartThings Hub. The Link also won’t run any automated routines while it doesn’t have broadband access, like the second-generation SmartThings Hub can in certain cases. Although SmartThings is still primarily a cloud service—you can’t control devices manually offline, even with the Hub—the minimal offline support can at least ensure that your smart lights and smart locks operate on schedule. Nvidia says it’s planning to add offline support to the SmartThings Link, but hasn’t given a timeframe. 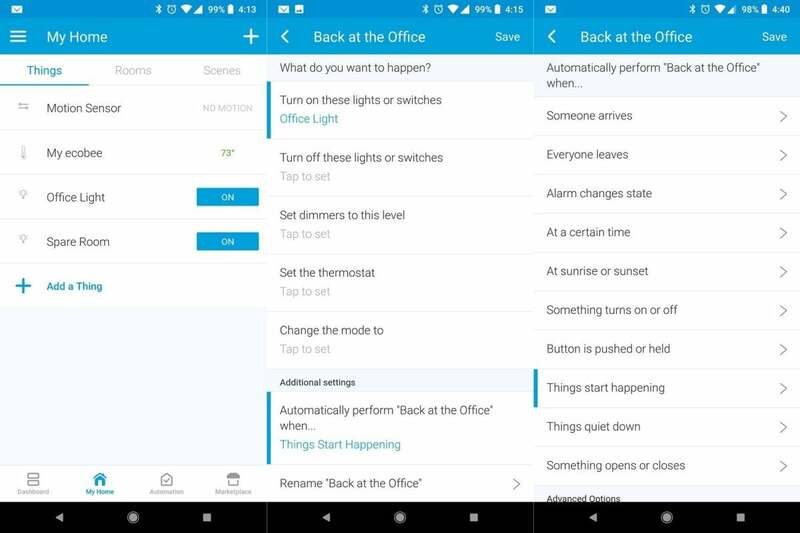 The Link supports all the same automation as a SmartThings Hub, but routines won’t work offline. The bigger difference is the one I mentioned earlier: The placement of the hub is dictated entirely by where your TV is located. Although the SmartThings Link has the same wireless range as its full-sized sibling, you might not be able to place it in a central location. To see what impact this would have, I connected the SmartThings Link to the Nvidia Shield TV in my basement, located in a corner of the house. From here, the Link wouldn’t connect to a lamp two stories above and on the opposite end of the house. Moving the Link into my first-floor office restored the connection. Bear in mind that both ZigBee and Z-Wave devices can form mesh networks that extend the range of coverage. But not all ZigBee devices act as repeaters, users have reported inconsistent results using light bulbs to extend their networks. Also, using a ZigBee repeater won’t extend the range of Z-Wave devices, and vice versa. If the thought of dealing with all this makes your head spin, just buy a proper hub and put it smack in the middle of your house. Assuming range isn’t an issue, the SmartThings Link is a fine way to get started with home automation. Although smart home aficionados might find it less robust than Samsung’s full-sized hub, the lower price makes an investment in smart light bulbs or other appliances a little easier to justify. For Nvidia Shield TV owners, that’s another perk that other streaming boxes can’t match. The SmartThings dongle for the The Nvidia Shield TV is less expensive than a full-sized smart home hub, but it's capabilities aren't quite equal.